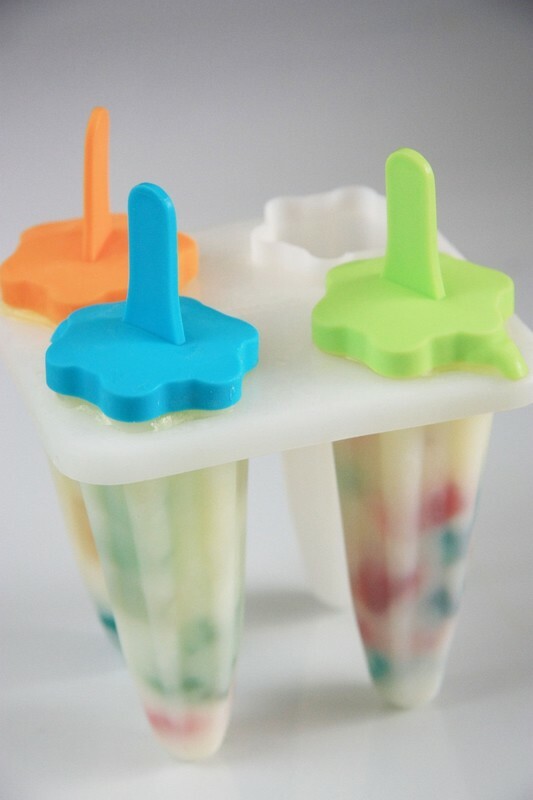 These ideas are great for summer! 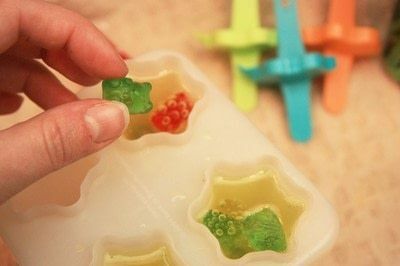 Place gummy bears in a glass dish. 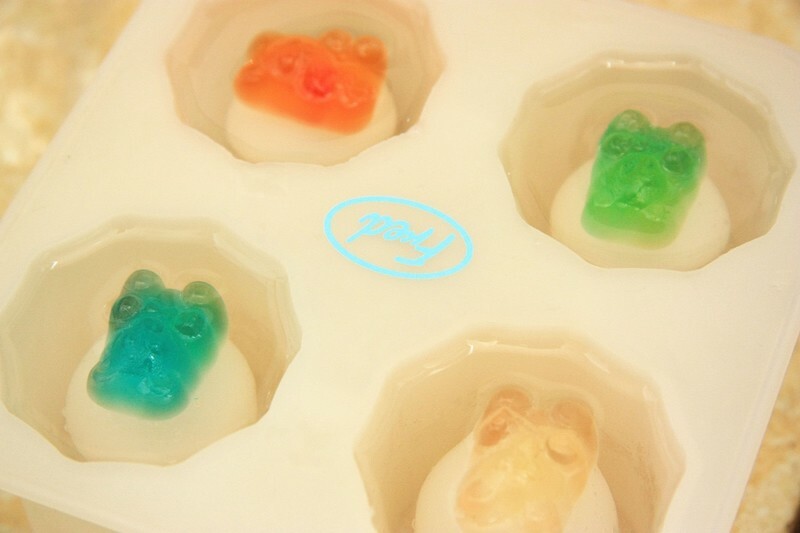 I used a pie dish. 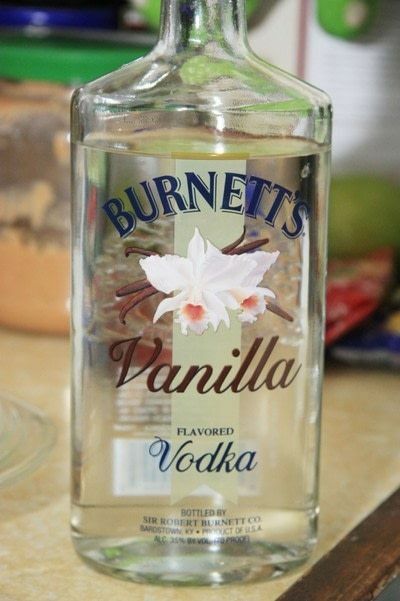 Pour in Vodka. 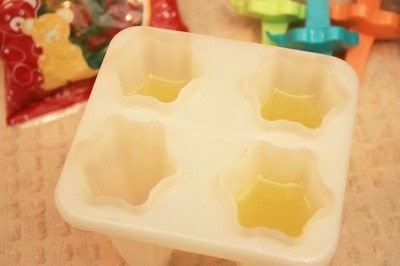 I used Burnett's Vanilla and it didn't gel around the gummies like I've been hearing a lot about with this technique. 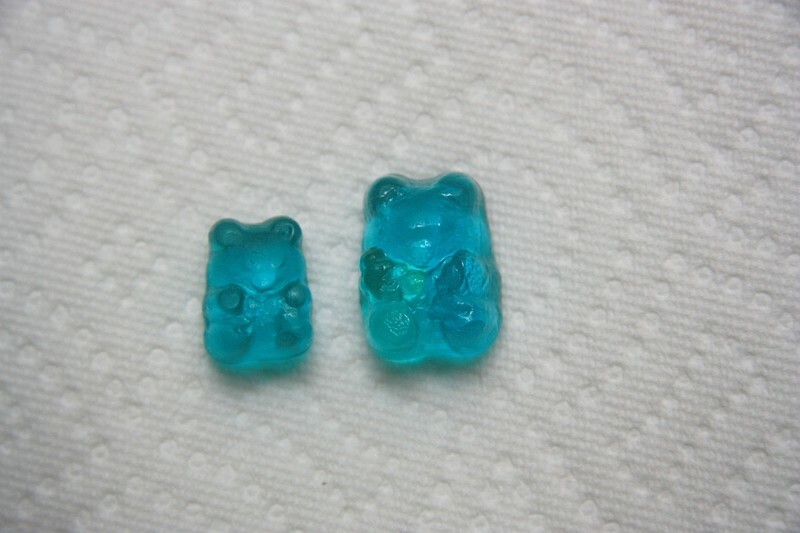 You can cover the bears completely, but I didn't. I covered them just to their tops and left them in the fridge for three days. The first bear is right out of the packaging. 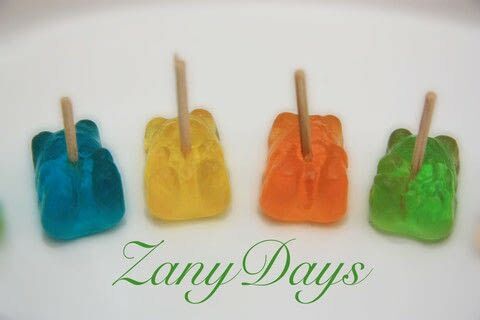 The second is soaked at two days. Three days was sufficient enough that they had returned to normal gummy bear consistency. No hard center. They never got mushy. And the vodka never gelled. 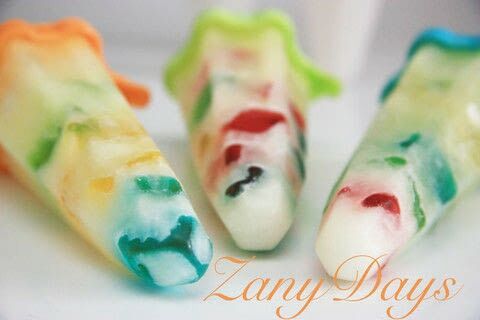 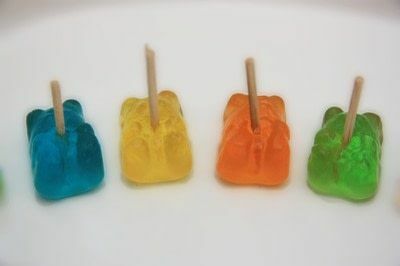 Skewer them with tooth picks right through their gummy tummies and serve at a party for your adult guests! 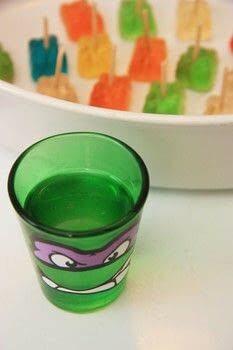 The left over vodka in the dish was delicious! I poured it into a shot glass, and then remembered that I have a silicone shot glass ice mold. 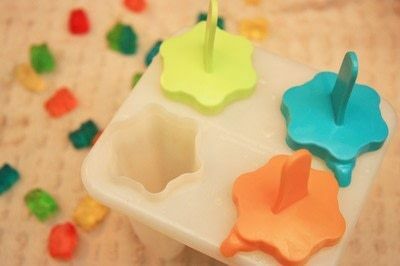 For the rest of the bears, I filled a popsicle mold with soda. 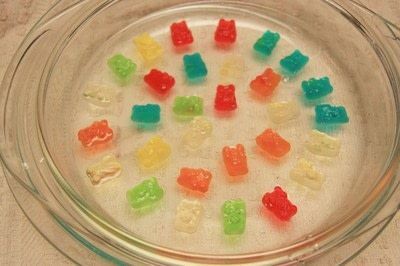 Then I dunked in enough gummy bears to fill each one.